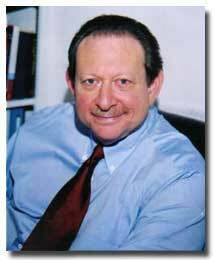 Michael Schuman, B.A., B.C.H., C.F.H. 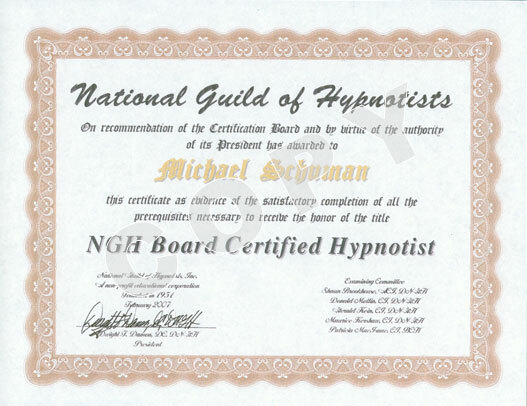 Click to Enlarge I am Board Certified by the National Guild of Hypnotists. Click to Enlarge I am certified by the National Guild of Hypnotists as a Certified Instructor. I am qualified to teach the Guild's course for certification as a hypnotist. 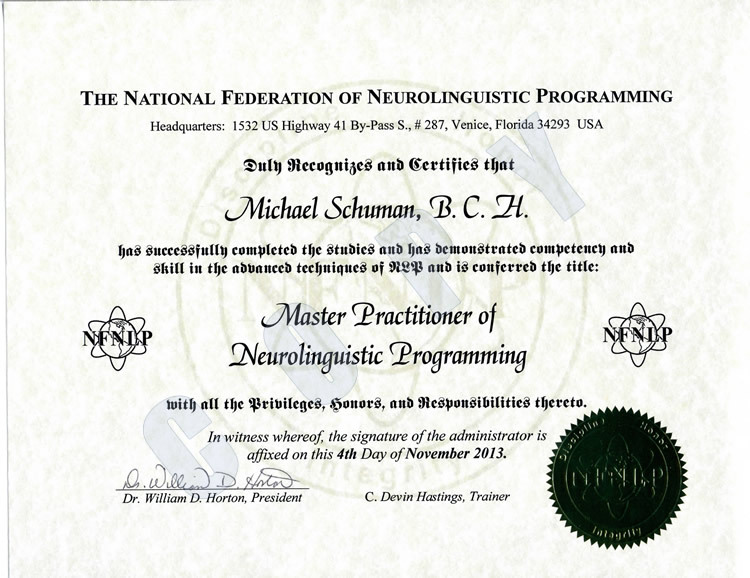 Click to Enlarge I am certified as a Master Practitioner of Neurolinguistic Programming. 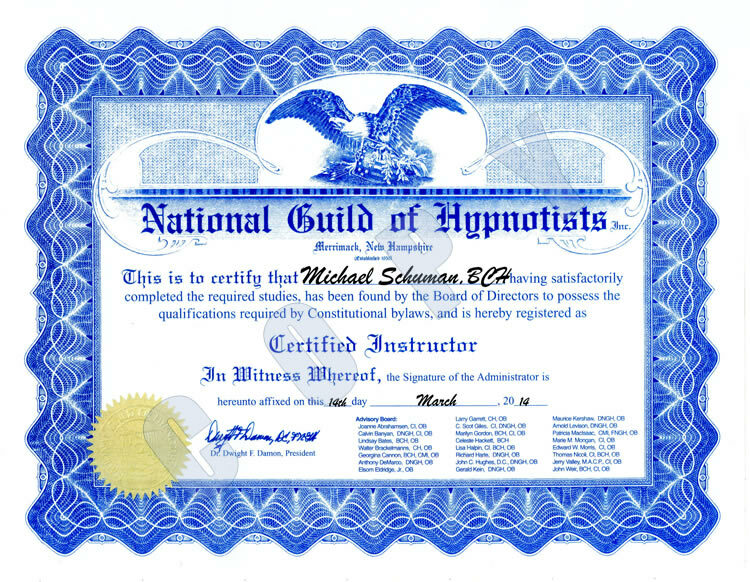 From The Journal of Hypnotism (September 2008),"...we [The National Guild of Hypnotists] have over 10,000 members in 65 countries..."
Michael Schuman is a certified member of the National Guild of Hypnotists as a Board Certified Hypnotist and the American Board of Hypnotherapy as a Certified Hypnotherapist. He practices in accordance with their Codes of Ethics and Standards and does annual continuing education to maintain his training at a high standard.